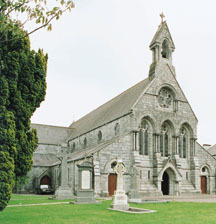 Ballincollig Community School first opened on September 14th, 1976 with 109 pupils. In the intervening years over 5,000 pupils have attended here. 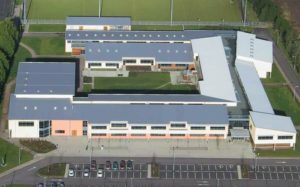 During this time the school has developed a proud academic and sporting tradition and on September 26th 2003, Minister for Health and Children, Mr. Michael Martin, TD, officially opened a new school building with superb new facilities for present and future generations of pupils. All classrooms are generously lit and naturally ventilated, deeper spaces have clerestory opening windows. Materials are robust. Circulation areas are enlivened with strong natural light and panels of colour. 4/5 computers in each practical room and Science lab. Performing arts area and music room. 6 outdoor tennis courts / basketball areas. Full sized sand-based playing pitch.